Making new hires feel comfortable is the responsibility of companies during the onboarding process. One way employers can do this is by reflecting their company values and/or culture to new employees. Companies can use the onboarding process to emphasize qualities they want all employees to represent. 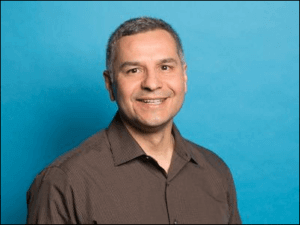 Armando Lopez, Executive Director of Human Resources at Ramsey Solutions, discusses why his company provides lunch on the first day to new hires. “We welcome new teammates in such a way that it communicates part of our culture is not only being prepared, but we’re welcoming because we really want them here. Interested in welcoming new hires to your company? Visit College Recruiter and follow us on LinkedIn, YouTube, Twitter, and Facebook. Armando Lopez has been an HR professional for 23 years working at Cracker Barrel, American Blue Ribbon Holdings, and now Ramsey Solutions.